Baby blues or postnatal depression? Many women and some men suffer from difficult feelings following the birth of a baby. We know that the hormones in a woman’s body are adjusting to the recent changes to do with labour and breastfeeding. To a large extent, this explains the overwhelming emotions that affect mothers in the first few days and weeks after birth. Tearfulness, worry about the baby and irritability effect the vast majority of women. Feelings can be very mixed, with elation and steep dips in mood following each other in quick succession. It is not surprising that new parents find it very difficult and confusing, as they come to terms with the huge responsibilities associated with a baby. It is impossible to imagine beforehand how sleep deprivation coupled with the steep learning curve of parenthood will feel. This emotional rollercoaster in the early days after the birth is what we usually think of as the ‘baby blues’, it can be quite normal and will pass as confidence grows. Partners, family or friends may be well placed to help new parents manage through this time by talking or giving space to reflect and rest. For some parents and their babies, postnatal depression is more devastating. It can last far beyond the first few months after the birth, sometimes for years and have a more profound effect on thoughts, behaviour and feelings. Heightened anxiety and obsessive thoughts about things like the baby’s health, or being out of the house are common symptoms. Lack of motivation, a sense of numbness, loss of appetite and disturbed sleep are also signs that things are not right. For some men and women, perhaps because it is their first baby, there is a deep sadness, regret or anger about the life they now have. There may be a sense of bereavement as they mourn the loss of the life they had before. For any parent to even admit to such negative feelings in relation to their baby, is almost impossible and yet in many ways it is a natural part of this transition period. In trying to ignore or repress such feelings there is a real danger that depression can set in, as to deny such feelings is to deny a part of yourself. Fortunately, postnatal depression responds extremely well to talking treatments such as counselling. Sometimes medication is helpful for a short period in order to cope. For a few women, postnatal depression can develop into an extreme form of psychosis and requires urgent medical treatment, so that both mother and child are kept safe. The GP or emergency services are the most appropriate first step in these cases, though counselling or therapy is usually part of the treatment plan as well. Postnatal depression takes many forms, but conflicted feelings in relation to parenthood are usually at the source. Often this can be to do with the upbringing experienced by the mother herself, which may not even be in conscious memory. Sometimes motherhood brings up long standing relationship issues between a daughter and her parents, especially her own mother. A difficult birth, a premature baby or any separation immediately after the birth, are all common triggers for postnatal depression, as they interfere with the usual bonding and attachment process. It is important to seek help if things don’t start to improve. Research shows that the mental health of the primary carer is of crucial importance to the baby’s development, especially in the early period. Babies need the interaction that comes from attentive, loving parenting; warmth, smiles, eye contact, touching and varied tone of voice. Whilst generally all postnatal depressed women love their babies, it can be hard to offer the responsiveness that babies need when feeling desperately low or anxious. Postnatal depression makes it really difficult to enjoy or take pleasure in anything and sadly that can include the baby itself. Having another parent or carer around to offer this special interaction with the baby is very important. ‘Faking it’ has been shown to work quite well too! Faking smiles and enjoyment in relation to the baby, even though it is not coming naturally yet, help with the baby’s social development and can also help parents themselves to feel better. This talking and playing together is best done little and often, whilst trying to follow the baby’s cues, (they will look away when they need a break and look back when ready for more). Simple action rhymes or baby massage are lovely ways for babies to feel they are getting your full attention and can help parents feel more relaxed too. Parenthood, in general, raises unsettling questions about identity. The change in lifestyle, potentially leading to isolation and loss of status, is challenging to emotional health, as previous coping strategies are lost or don’t work in the new situation. Time is no longer structured, there is no end to the responsibility of care taking and the rewards are difficult to grasp. For many parents, the period after the birth of a new baby is a challenging period of transition, but for some, the stress triggers a deeper more serious depression. Postnatal depression is very common, but largely hidden, due to the shame and confusion felt by the mothers, who feel they ought to be happy. Depression, or other unmanageable feelings after the birth of a baby, are not limited to mothers. New fathers can experience similar overwhelming emotions because they too are going through a massive shift of emphasis in their life. The focus is now on the baby and away from the parents’ relationship and the individual needs of each adult. Parenthood is a life changing experience for both men and women which requires a period of adjustment. It may not be the way you expected or hoped it would be and that can be very disappointing and frustrating at first. Hoping and waiting for things to go back to the way they were before is not the answer, because once you have a child, they never will. 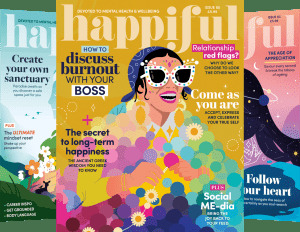 Whether you are suffering from the ‘baby blues’ or a more serious case of postnatal depression, parenthood really does not need to be an obstacle to happiness. However intense, exhausting and emotionally draining it is, with the right help and support there is light at the end of the tunnel. Located in Brighton & Hove and Shoreham.